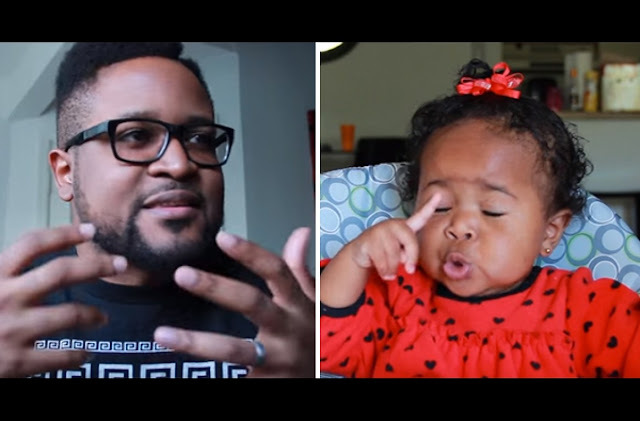 La Guardia Cross is a YouTuber and a father who regularly post fun videos of him and his baby daughter, Amalah. Now that she’s 14 months old, he decided that he needed to learn a little more about her. So, he figured what better way to do it than to sit down and have a face-to-face interview? This way, he could ask her important questions like, “Why do you still refuse to sleep through the night?” and “Why don’t you financially contribute to the family?” For her part, Amalah answers the questions pretty honestly (and hilariously), but I don’t think it’s going to get La Guardia any closer to a full night’s sleep.